Forthcoming elections in Bangladesh will expose the semblance of democracy in the country. Bangladesh tends to languish near the bottom of corruption-watchdog Transparency International’s Corruption Perceptions Index. So it is perhaps unsurprising that former Prime Minister Begum Khaleda Zia and her son and heir apparent, Tarique Rahman, are facing legal action over a long-running corruption scandal. However, Bangladesh lacks much in the way of political alternatives. 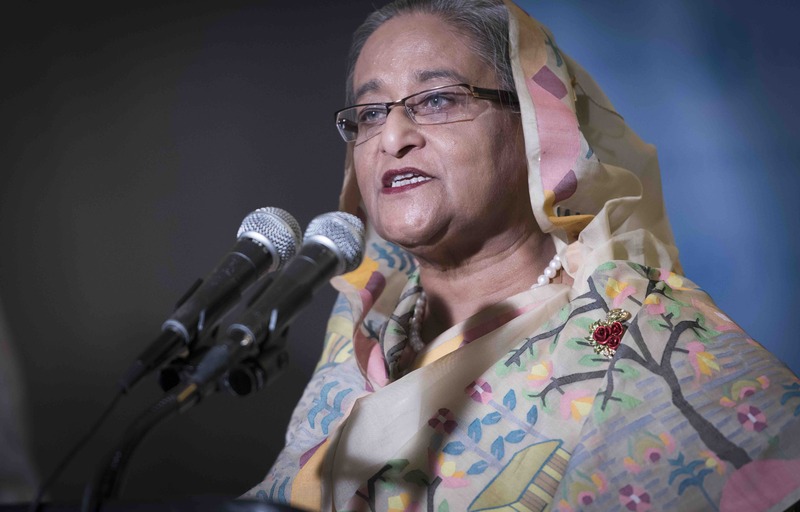 Apart from military rule, all the country has known as an independent nation are two political dynasties: one led by Khaleda, and the other by her fierce rival, current Prime Minister Sheikh Hasina. That era now looks to be passing, with Khaleda languishing in jail, likely unable to compete in an upcoming election. The future asks difficult political questions, with even more difficult answers. Ever since popular protests overthrew military dictator Hussain Muhammad Ershad in 1991, Bangladeshi politics has been dominated by twin, antagonistic party-political pillars. Power has alternated between the supposedly centre-left, or more secular, ruling Awami League and the centre-right Bangladesh Nationalist Party (BNP). Driven by vehement anti-incumbency tendencies of the electorate, this balancing act gave the appearance of pluralism. In a structural sense, it meant that sections of society could divide the spoils of patronage during their allotted time in office. The semblance of democracy belied the fact that both parties were led by scions of political dynasties. While the cast around these figures changed somewhat with the passage of time and favour, the apex of these pyramids of political and economic power did not, barring a brief and ultimately unsuccessful period of military rule in 2007–08. 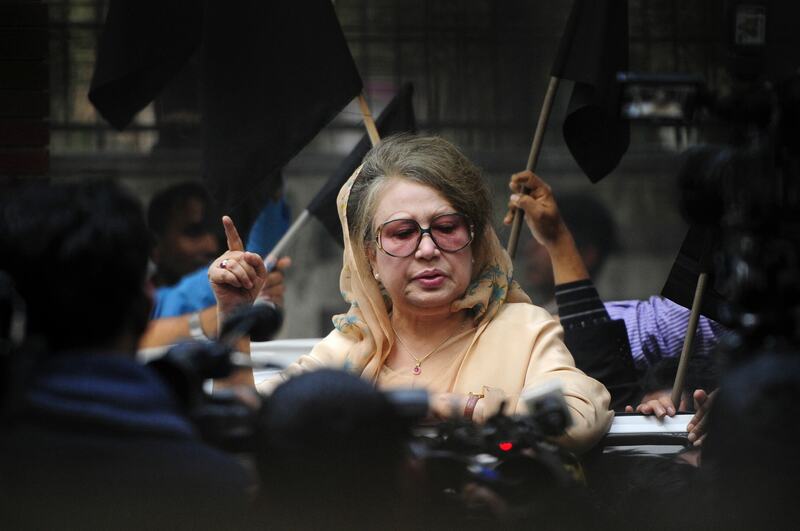 The system of alternating power came to a shuddering halt in February when a long-running corruption case finally, and perhaps not coincidentally in an election year, resulted in the jailing of Khaleda. Yet this political cycle has looked tenuous since at least early 2014, when the incumbent Awami League held on through a bloodstained 2013 to claim an historic second consecutive term in office. The BNP boycotted the polls and held violent protests met by heavy-handed policing. This saw a cooling of relations with Bangladesh’s traditional Western partners, who were critical of the ruling Awami League’s promulgation of a one-sided election. Concern centred on the scrapping of a provision that elections should be run by an interim caretaker government. Western ambivalence saw diplomats in Dhaka frozen out by the government, and crucially saw the Awami League gladly turn towards China, whose enthusiasm only proved a spur to the Awami League’s traditional patron, India. Both leaders are in their seventies. Sheikh Hasina has been in power since 2009 and seems to carry on with more vigour than her rival. But while Khaleda Zia fades from legal harassment, meaning supremacy for Hasina now, the scenario also hints at a great quandary for the country: are these political superstructures capable of selecting and smoothly transitioning to new leadership? It is still unclear exactly what will come to pass when the two titans of Bangladeshi politics no longer grip the reins of power. Consequential international players seemingly no longer care about democracy. Analysts have suggested that Bangladesh’s political impasse heightens the risk of extremism. A recent report from the International Crisis Group warned jailing, extrajudicial killings, and denial of political space for the opposition can spur more extreme forms of association and activism. Political expression can align with harder forms of Islamism, which have persisted in the country to varying degrees since independence. Political scientist Professor Ali Riaz adds that the government may try and use Islamist groups to form a semblance of opposition. The politically powerful madrassa movement Hefazat Islam (Defenders of Islam) is known for vast protests against secular policy. Both major political parties have sought to form coalitions with Islamists in the past, and many political observers now see Hefazat as a potential power broker. BNP has backed Hefazat previously, most notably in 2013 when there were violent attacks on atheists, and has claimed the ruling Awami League was anti-Islam. But the Awami League now seems to have made accommodations to Hefazat, and pays homage to its leader. Another Islamist party known as Islami Andolan has said it will contest all 300 parliamentary seats. Such a move looks to pit the Awami League not only against a group that has categorically threatened “rivers of blood” if a statue of the Greek Goddess of justice was not removed, but also the anti-incumbency tendencies of a weary public. This new pluralism cedes serious ground from the centre. Voters may see their choice as one between single-party rule and hardline Islamic rule. Despite the League’s gamble, many may choose the latter. Japan has quietly, and successfully, been building ties with the Philippines in a way that could calm a volatile region. A campaign in Western Province seems to be achieving its goals, but TB is a disease that thrives on poverty.